When I delved into Mary Berry’s Baking Bible this week, I must admit that after the relative gluttony of Christmas food, I couldn’t face two recipes this week but mindful that I want to complete this challenge this year, I will aim to try harder next week! Potato scones sounded unusual and it was nice to try something savoury for a change. The recipe is like Mary’s usual scone recipe except that you get to add some fresh mashed potato to it! Mary claims that you can make 12 scones out of this dough batch. Well I managed that but they were thinner than I would have liked so if I make these again or you decide to have a go, then roll the dough thicker if you like a deeper scone. 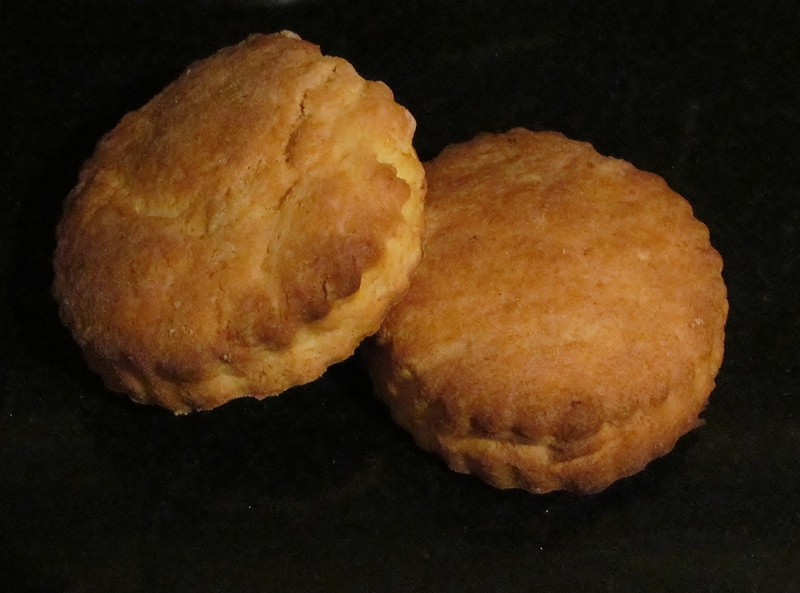 They tasted very yummy when split and eaten with a dash of butter while still warm from the oven. I was very excited to see that The Great Sport Relief Bake Off is coming tomorrow. I have already set all four episodes to record and will sit and watch each one avidly! I have greatly missed The Great British Bake Off with Mary Berry’s kind words and Paul Hollywood’s stern looks. 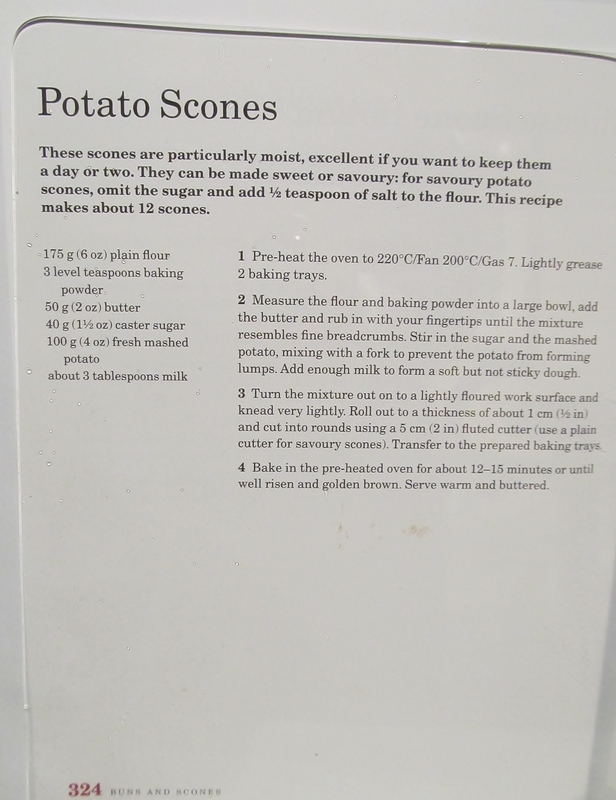 This entry was posted in Kim's cake challenge and tagged Baking Bible, Great British Bake-Off, Great Sports Relief Bake Off, Kim's Cake Challenge, Mary Berry, Mary Berry's Potato Scones, potatos scones by kimsideas. Bookmark the permalink.